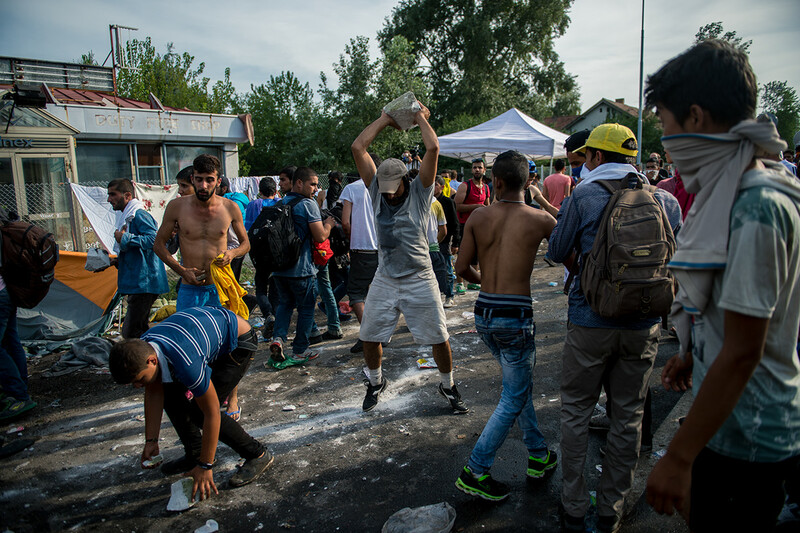 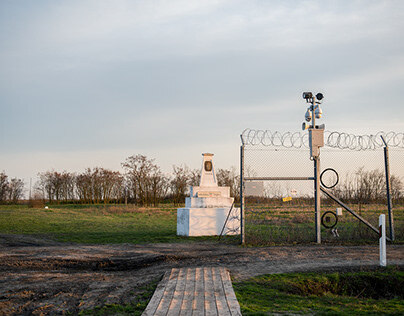 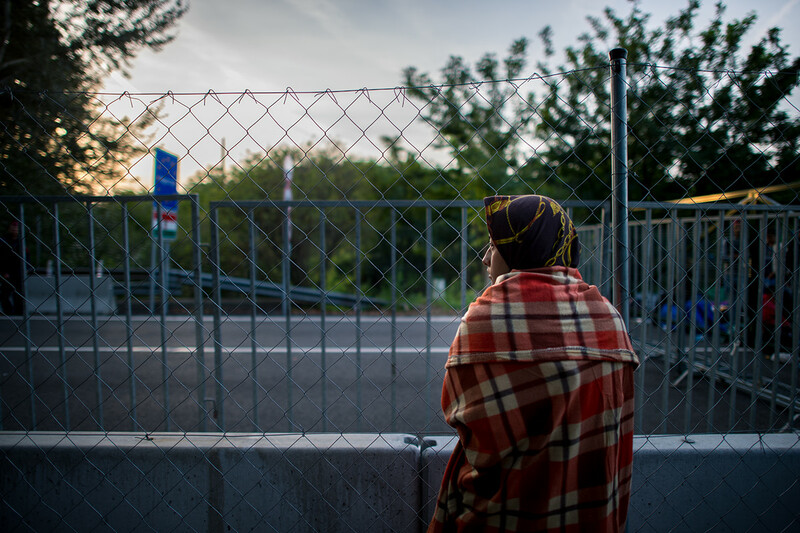 After refugees tore down a razor-wire gate on the Serbian side of the Hungarian border crossing, and were pushing through to a second gate on the Hungarian side. 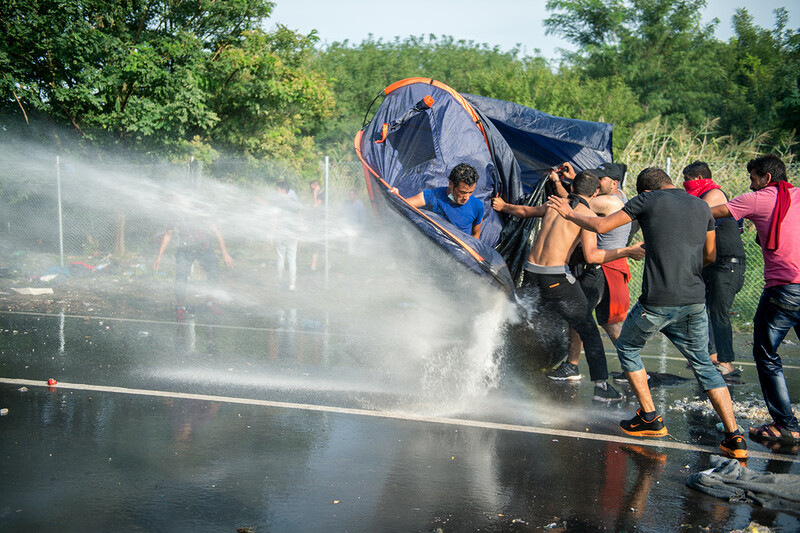 Hungarian police officers moved against of migrants on Wednesday afternoon, attacking them with batons, water cannons and tear gas after they tried to surge through a border crossing that had been blocked for a second day. 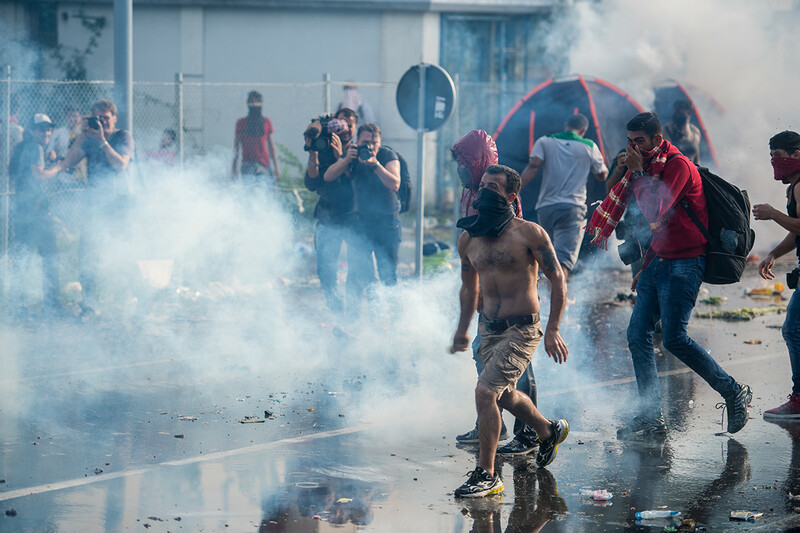 Twenty people were injured, including two children who had been thrown across the fence into Hungary, and taken to a hospital. 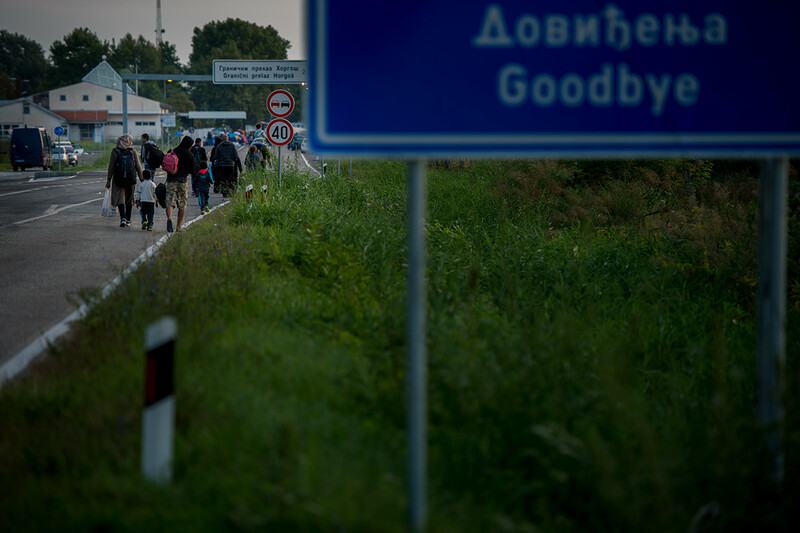 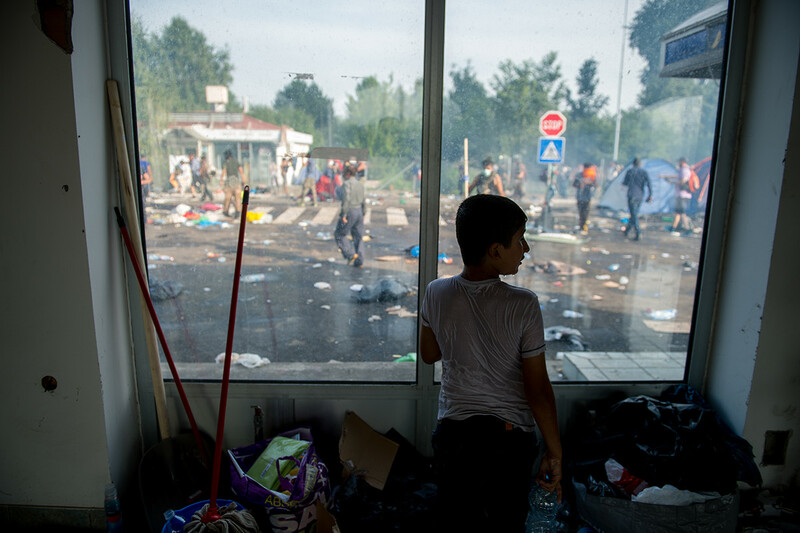 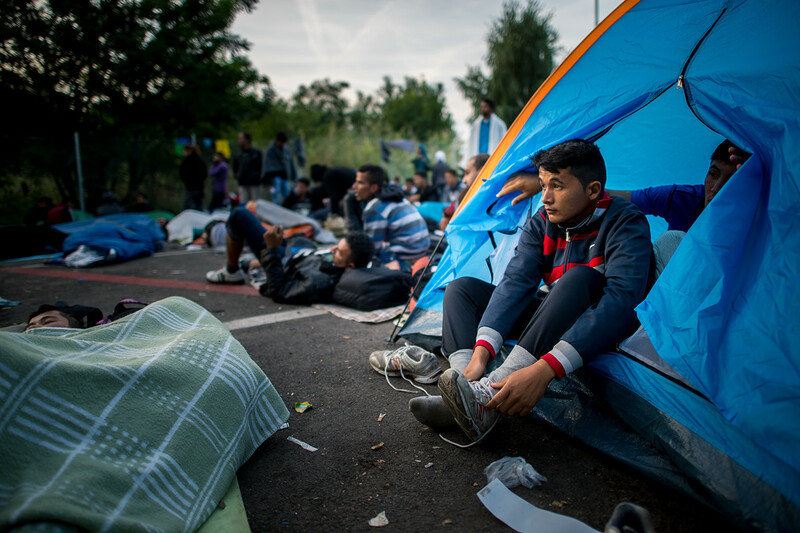 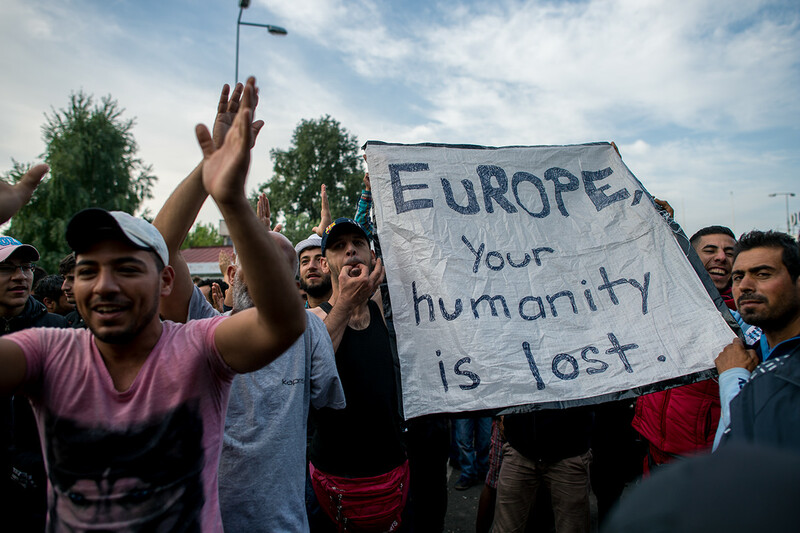 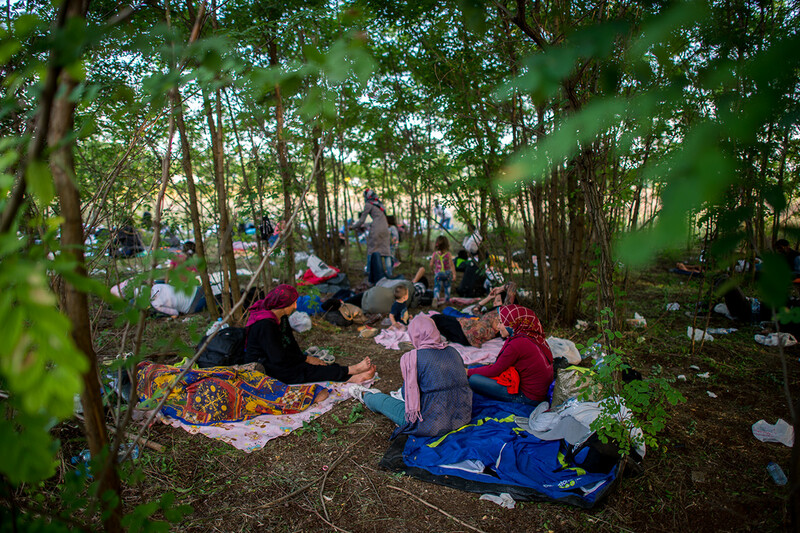 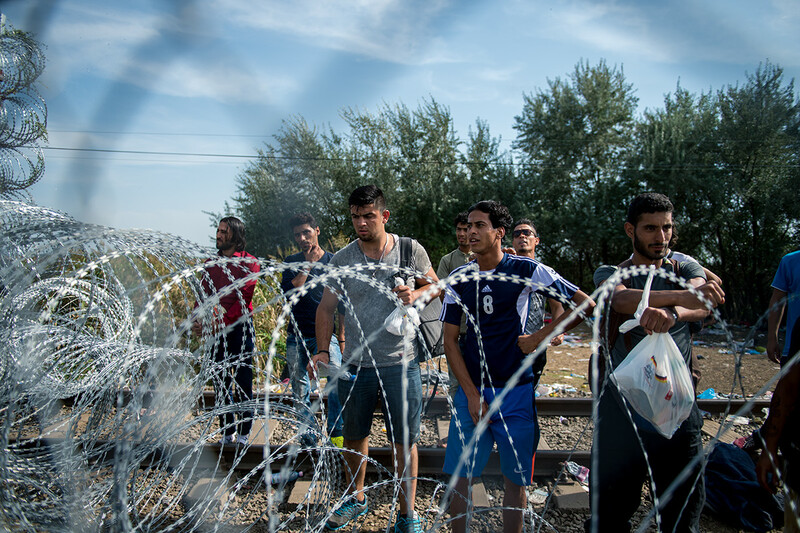 My reportage from the Hungarian-Serbian border during the refugee crisis of September, 2015.